All of our pull-thru and back-in sites have water, sewer, 50/30/20 amp electric, a private grassy area and picnic table. *Nightly rentals are subject to a 7% Montana Accommodations Tax which is used to produce maps & travel guides and to enhance State Parks. 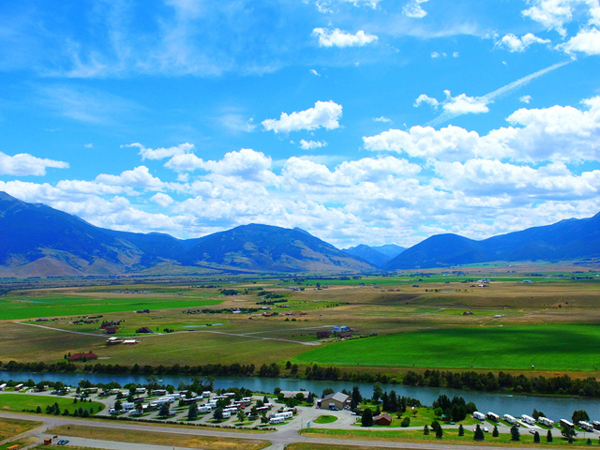 We have a beautiful dog walking area (not fenced) along the Yellowstone River with doggie pots available. All pets must be kept on a leash and picked up after. Our newly updated network consists of a fiber connection to the central hub where it is then distributed using state of the art Ubiquiti brand radios and antennas. A basic level of service is included with the site rental. Nightly rentals require a deposit equal to the first nights rent at the time the reservation is made. To cancel a nightly or weekly RV reservation you must notify Yellowstone’s Edge RV Park at least 7 days prior to the reservation date in order to receive a full refund less a 10% handling charge. If notice of cancellation is received less than 7 days prior to the reservation date the deposit will be forfeited. **This rate will only be given if the week is paid for in full when you check in. Good Sam discounts will not be given in addition to the seventh night free discount. *Weekly rentals are subject to a 7% Montana Accommodations Tax which is used to produce maps & travel guides and to enhance State Parks. Weekly rentals require a deposit equal to the first nights rent at the time the reservation is made. 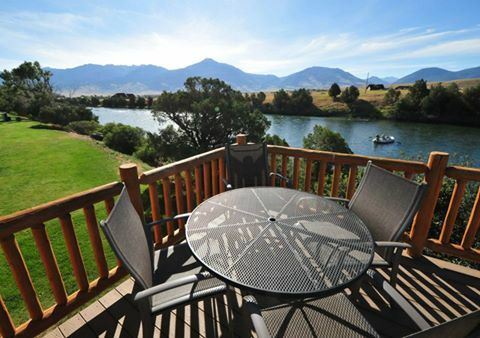 *Monthly rentals are exempt from the Montana Accommodations Tax. Monthly rentals require a deposit equal to the first weeks rent at the time the reservation is made. 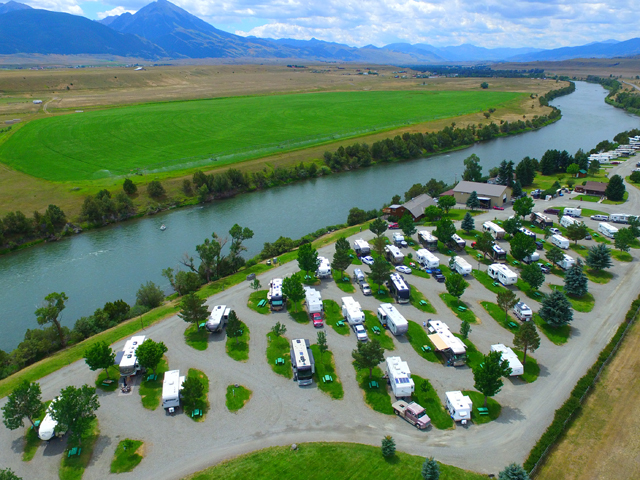 To cancel a monthly RV reservation you must notify Yellowstone’s Edge RV Park at least 14 days prior to the reservation date in order to receive a full refund less a 10% handling charge. If notice of cancellation is received less than 14 days prior to the reservation date the deposit will be forfeited. Three or More Nights Stay: $180.00 per night. Rent this cabin for a week and the seventh night is FREE! *Cabin rentals are subject to a 7% Montana Accommodations Tax which is used to produce maps & travel guides and to enhance State Parks. Pets are not allowed in the River Suite Cabin. Our newly updated network consists of a fiber connection to the central hub where it is then distributed using state of the art Ubiquiti brand radios and antennas. A basic level of service is included with the cabin rental. River Suite Cabin rentals must be paid in full at the time the reservation is made. 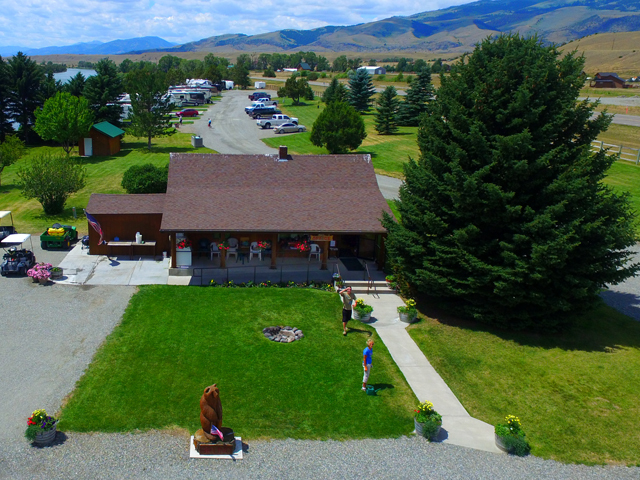 To cancel a cabin reservation you must notify Yellowstone’s Edge RV Park at least 14 days prior to the reservation date in order to receive a full refund less a 10% handling charge. If notice of cancellation is received less than 14 days prior to the reservation date the deposit will be forfeited. Refunds are not given for the unused portion of a reservation due to early checkout.